2017 began with a tsunami of events, some potentially cataclysmic and others more in sync with seasonal cycles. Someone forgot to turn off the faucets of ill-will that have been spewing forth in our nation, and Mother Nature forgot to shut off water spigots here at home. As rainstorms shudder against my windows and alternate facts compete with common sense, I’ve often felt like the imperiled dams and rivers in our state: over-filled, overflowed, and thoroughly wrung out. But: Today the sun is shining. 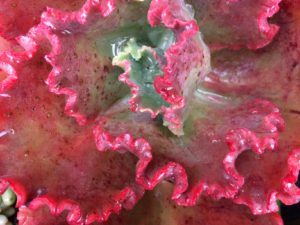 Neon-green coats the hills, and succulents gratefully absorb the wetness. I’m grateful for the reminder that everything has a season – and that Spring is just around the corner. There’s new growth on the literary front too: the recent publication of two anthologies on subjects near to my heart – memoir and travel. The Magic of Memoir: Inspiration for the Writing Journey, and Wandering in Andalusia: The Soul of Southern Spain are both fully in bloom, and readings are flowering across the country. Please join me for upcoming Bay Area events where I’ll be reading along with other contributors. Thursday, March 9, 7:00-8:30p at A Great Good Place for Books, 6120 La Salle Avenue, Oakland (Montclair District), CA. 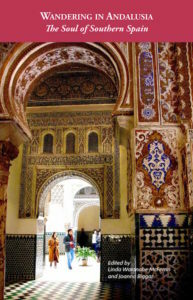 It will be lively group reading by writers featured in Wandering in Andalusia, the latest anthology in the prize-winning Wandering series of travel tales. Edited by Linda Watanabe McFerrin and Joanna Biggar, this enchanting collection illuminates the soul of Southern Spain, a territory ripe with contradiction and beauty. Friday, March 10, 7:00p-8:30p, at Kaleidoscope Coffee, 109 Park Place, Point Richmond, CA. Come Experience the Magic of Memoir! The event is a celebration of memoir, with editors and contributors of The Magic of Memoir. 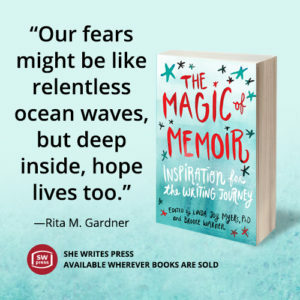 Co-editors Linda Joy Myers and Brooke Warner will be joined by a handful of contributors who earned their placement in this inspiring, wise, and deep collection of essays about the journey, the process, and the craft of writing memoir. Join us! 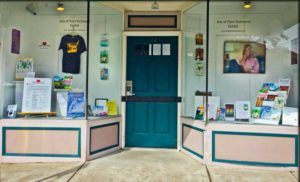 The Arts of Point Richmond features “For the Love of Books – A Celebration of Local Authors” This sampling of books by writer members is on display in Point Richmond’s post office building. 104 Washington Ave. It features local authors: Abigal Bok, Diana Paul Bort, Steve Early, Michael Fitzgerald, Rita Gardner, Suzanne Gordon, Robert Lipton, Heli Perrett, Toula Siacoutos, Jacqueline Wales, and Christine Volker. On the ART FRONT: “Cacophony” is a new juried art exhibition at Kaleidoscope Coffee, 109 Park Place, Point Richmond – March 1 through April 28, 2017. Please join us at the reception, Friday, March 10, 4:00-6:00p. In other news, my memoir The Coconut Latitudes continues to expand my family circle and find new readers. Book clubs locally and across the country are still choosing it to read, and many invite me to participate in their discussions, which I enjoy immensely. A tip of the hat to last month’s book club gathering in El Sobrante – a great group of book enthusiasts and lovely hosts. And finally – something to bring a smile: My community of Point Richmond has a fairy godfather…an artist who continues to create whimsical fairy (or leprechaun) habitations on a one-block section of Washington Avenue (between Nicholl Avenue and Terrace Avenue.) His latest creation: a library with mini-books, and even a tiny sign offering a reward for a lost ladybug pet. It’s a delight for children and anyone young at heart. If you’re in town, check it out!